If you’re a dog lover, your dog is probably showered with love and spoils and given too much attention – if there’s even such a thing! But once you have to bring home a newborn, your dog is going to have to adjust a lot. He may even find the changes stressful and feel very insecure. Well, you can’t blame your little pooch. There is, in fact, a new screaming little human consuming all dad and mom’s attention and time. Before you arrive home from the hospital, your dog has a feeling something is up, but he probably doesn’t really know what it is. You need to take careful steps to ensure that dog and baby are introduced properly. Your dog must respect you as the leader in your household. 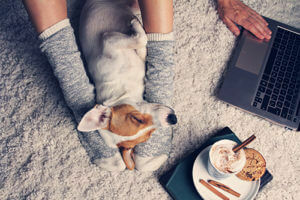 This means that you need to set some rules and boundaries to ensure you get rid of any bad habits your dog has before the new baby comes along. Bad habits may include scratching, jumping and chewing things he isn’t supposed to. You don’t want your dog to associate the fact that he’s getting less attention with the arrival of the new baby (even though that will be the case). So, two to three weeks before the baby comes along, start giving him a little less attention as opposed to lavishing him with love and then suddenly stopping. However, when the baby does come along, make a point to give your dog attention to ensure he feels secure about the arrival of the new addition to the family. While mom’s still in hospital, dad can bring an item that smells like the baby home for your dog to smell. This can be a blanket, a burp cloth or anything that has been in contact with your baby. Let your dog sniff the new scent so that he recognises and accepts the scent before meeting the baby. Make sure your dog does not feel at liberty to go into the nursery without your permission. After a while, you can let your dog explore and sniff around the room with your supervision. Do this a few times before you bring the baby home. This will ensure your dog knows the room belongs to you and is not a “free zone”. If you can, get someone to take your dog for a walk or run on the day you’re planning on bringing the baby home. This will drain some of your dog’s energy. When you arrive home, greet your dog alone first then bring in the baby. Your dog should be familiar with the scent. Keep calm and relaxed while letting your dog sniff the baby from a distance – don’t let the dog get too close to the baby at first. You can allow him to get closer and closer in time. 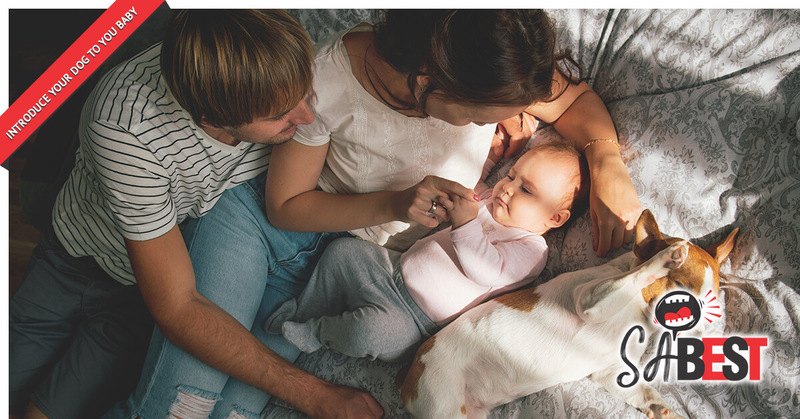 Take introducing your dog and baby seriously. Once your new addition is a little more mobile, make sure you supervise all interactions between your dog and baby. Teach your little one to play gently and calmly with your dog – and all dogs for that matter – to prevent provoking unwanted behaviour. Also, be careful not to punish your dog for picking up any of the baby’s toys as you don’t want him to have negative feelings or associations with the baby. Rather just replace the baby’s toy with the dog’s toy. Should you let your kids get dirty?